The Deputy Commissioner of Jorhat, Narayan Konwar, said on Saturday that delineating a walking zone at Jorhat from tomorrow (Sunday) signalled the beginning of a movement in which the greater objective was for the people to own the city. “The district administration will be there to facilitate all the events planned for the day and thereafter but to sustain this movement, this togetherness, people’s involvement is imperative,” he said. In this connection, Jayanta Goswami, Additional Deputy Commissioner (ADC) (Revenue) said that a committee has been formed with ophthalmologist Narayan Bordoloi as president and advocate Rintu Goswami as secretary. Goswami would be coordinating with the committee members so that the numerous competitions planned for the day would be successful. The walking zone would stretch from Baruah Chariali to Gandhi Park and there are plans to take in the Rajmao Pukhuri route as well, making it longer than the 300 metre proposed in the beginning. The opening has been planned on September 3 next to commemorate the birthday of Assam’s first sprinter to get gold in the Asian Games in 1966, Bhogeswar Baruah. For two hours each day the zone would be free of traffic. 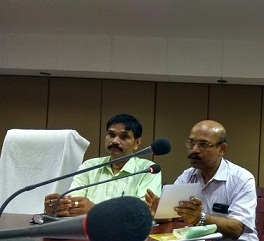 Addressing the media at the conference hall of the Deputy Commissioner here on Saturday, Bordoloi said that in addition to several competitions like borgeet, dihanaam, Krishna nritya, photography and drawing to be divided into two groups – classes 5 to 7 and 8 to 10, there would be a walking competition for people above 60 years of age. In the drawing competition, the theme would be on eye donation as World Organ Donation Week would be observed from September 3 to 9 next. He further said that a health booth would be put up on the first Sunday of each month for check-ups of regular walkers and health cards would be issued to the ones who walked religiously. For the football match too, 11 teams have been shortlisted and two matches would be played on Monday and then continuously over the week with the finals tentatively scheduled for next Sunday. Bordoloi said that over time other walking zones too would be demarcated in places like Garmur, Lichubari, etc. Non-governmental Organisations (NGOs) like Dikh and several other organisations were involved in the hosting of the events. He also added that yoga classes would be held. On Monday, the zone Barpatra Ali would be off limits to traffic from 5 am to 8 am and from 5 am to 7 am thereafter.